Great news everyone! Big changes are happening within the LD camp. 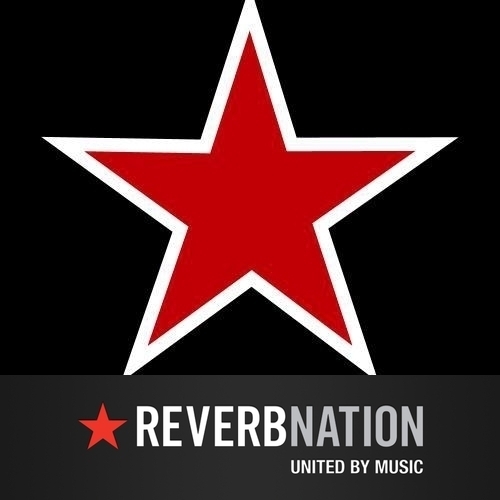 Acclaimed rock producer and songwriter, Steve Molella (Finger Eleven) will be producing LD’s next single. “I need to think outside the box and remain true to myself as an artist. I know that Steve is the guy who will propel myself, and the incredible artists I get to play with on a constant basis to that next level. His energy and vision is like nothing I have ever seen. I’ve decided to make some drastic changes which I know everyone will enjoy. I simply can’t wait to share it with you all”. A total revamp is on its way. Stay tuned for more exciting news to come. Catch LD at the Market Brewing Company in Newmarket this coming Friday starting at 8pm. It’s going to be a blast! LD has been invited to perform at the CCASH showcase during this year’s CCMA awards in Hamilton this coming Sunday 9th September. The showcase will take part at 33 Bowen and LD is set to hit the stage at 1:30pm. A big thank you to LE Promotions for the invite. Great news everyone! 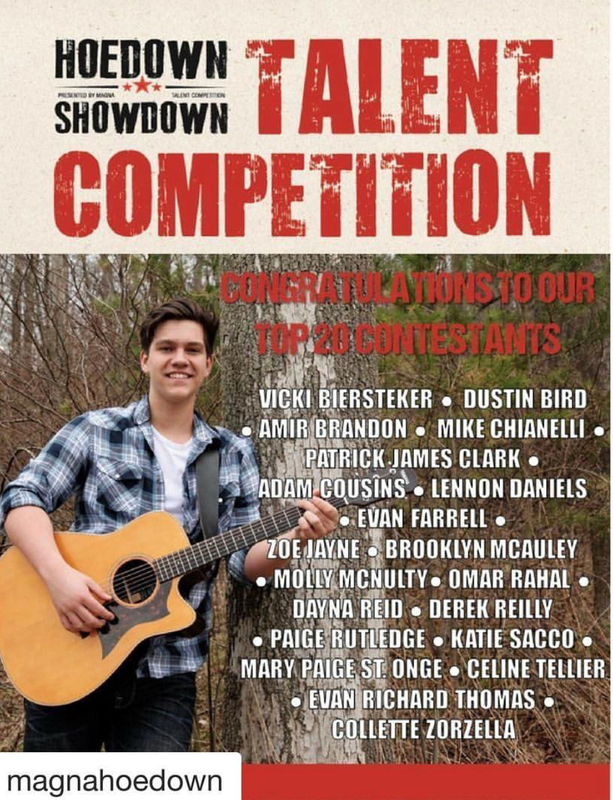 LD has been selected for the Top 20 in this year’s Magna Hoedown Rising Star Talent competition. LD will be performing at the Aurora Ribfest on Saturday 25th August 2018 as part of the competition. Details to come. Hey y'all, due to LD having some vocal issues, the show at CJ Barley's on Friday 6th July has been cancelled. "I've had a busy last few weeks with a ton of shows and a lot of rehearsals. During this time, I strained my voice extensively and have been put on a 6 week vocal rest by my doctor", says LD. "I know there were a lot of looking to attend but I promise to make it up to y'all". The next show scheduled for LD will be at the Moxies in Newmarket, Ont, on Wednesday 18th July. Hope to see you all there. Road Blog: Well, my first adventure to this year’s Country Music Association of Ontario Awards in London, Ont has come to an end. All I can say is that I was deeply motivated and touched by everyone in the music biz who took the time to chat with me and offer some guidance. From label heads to producers and songwriters, thanks for showing absolute class at all times. But honestly, this weekend was all about getting to know my fellow artists. It’s awesome to see how motivated each and everyone one of you are and that the constant grind of this industry never gets you down. It truly is inspirational. Blessed to have meet you all and hopefully we get to share the stage together down the road. Huge thanks to the CMAO for having us and putting on a great show. LD to featured on the In The Country with Dave Woods Show. LD got to hang with Dave Woods, the host of the “In The Country Show” today at the Rock n’ Docks in Port Credit. Links for the interview will be available soon. Click on link below for instant access to LD’s Break Free. Hey y’ll. Don’t forget to catch LD’s track, Break Free on CJFW Fm’s Homegrown Show this weekend. This past Saturday saw LD’s debut single, “Break Free” hit the Indie Charts at #7 in its first week. The support for this track so far has been overwhelming. Thank you to everyone who’s taken the time to listen and vote. This is going to be quite the Jam. Can’t wait! LD's debut track ,"Break Free" will hit the radio waves in British Columbia, Canada, and will be featured on CJFW's Homegrown Show on Saturday 24th, starting at 12pm ET and Sunday 25th March, starting at 4pm ET. For everyone out west, tune in to 103.1 fm for this special occasion.